I was running Windows 8 on an Asus Eee Slate EP121 for this review. 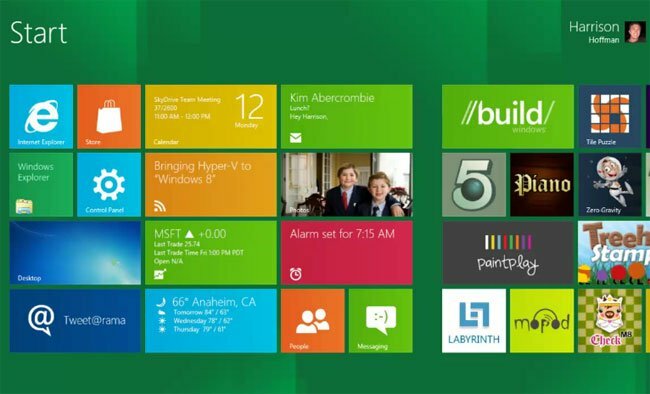 In Windows 8 you must swipe from outside the screen an onto it to reach the most important functions. This, however, is working badly. Very often the active app thinks you're simply swiping inside the screen area and reacts accordingly - often with a fatal (data-wise) result. Also a swipe or a tap close to the edge (e.g. when tapping the space-bar) is sometimes interpreted as a swipe starting outside the screen and performs the unwanted function - often with a loss of work as a result. The outside-the-screen-swiping should be changed and re-thought. A swipe from the left edge leaves me with several shortcuts scattered around my folders when used on the desktop. This happens because the navigation pane in Explorer is positioned in the left side. When the swipe fails (it often does) you drag an icon from the navigation pane to your currently open folder creating a shortcut or a copy - often without knowing. When browsing in metro-style IE the left edge-swipe simply goes back because a left-to-right swipe means Back. I've spent lots of time re-filling web forms on this account. Perhaps a solution could be to expand the touch area to outside the screen (if Apple hasn't patented it). Swipes starting outside the screen might be catched this way and blocked from the active app. This might not prevent that typing a space can invoke the upwards swipe feature, though, but one might hope so.